Horses love them! 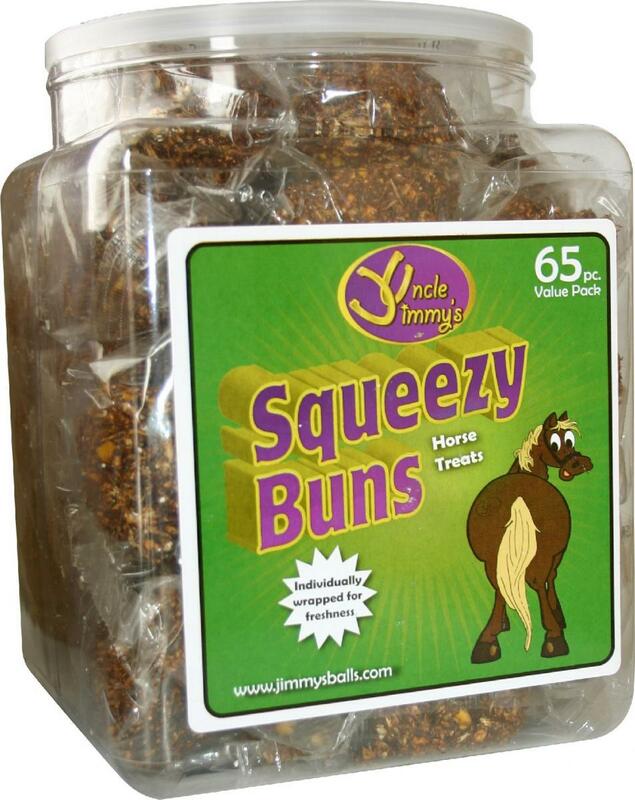 All natural and loaded with nutritional ingredients for your horse. Individually wrapped to preserve freshness and to eliminate mess. Great for use when catching difficult horses or just as a reward. Also a great way to help disguise tablets when feeding – simply put the tablet inside the squeezy bun and feed. 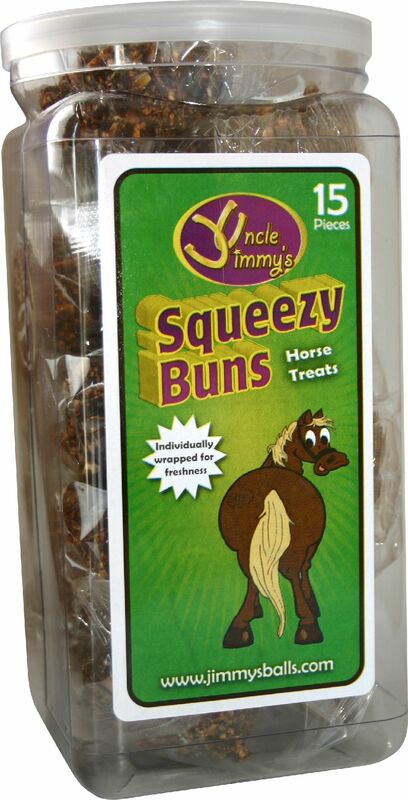 There are currently no questions for Uncle Jimmy's Squeezy Buns - be the first to ask one!